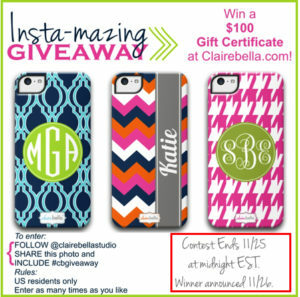 Want to create an Instagram campaign? Not sure how to set it up properly? Not sure how to gain traction for it? Instagram is a perfect platform to run a campaign on, and there are a ton of effective campaigns you can choose from, so you can be sure to find one that is suitable for your brand’s needs and objectives. Launching a campaign isn’t difficult. But launching a successful campaign is. And to make it a success that brings marketing value to your brand, you need to understand what makes a campaign successful, and what factors are worth putting thought into. During my many years on Instagram, I’ve launched several types of campaigns. Some successful, some complete fiascos. But I take pride in them, because they’ve taught me a lot about how Instagram works, and what goes into launching a campaign that blows up your brand. In this article I’ll teach you exactly what you need to know to create a campaign, and what you need to do to make it successful. The single most important thing to launching a successful campaign, or succeeding as a business in general is knowing your audience. If you are marketing your business without knowing who you are marketing to, you are shooting in the dark. And chances are, you’ll miss. It’s not enough to simply know their gender and their location. To get the most out of your campaign, you need to have a deep and intimate knowledge about your audience. You need to know their pain points, what they are looking for, who they trust, how they act, and interact. The chances are that you’ve already identified the answers to all of this earlier, but if you haven’t, now is the time. 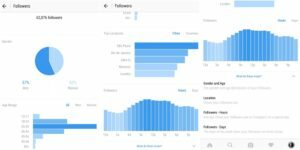 There’s a variety of different tools that you can use to analyze your Instagram followers, but the truth is that a tool that will help you with everything you need is right in front of you. 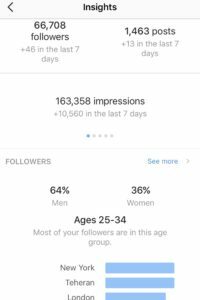 It is called Instagram Insights (also often called Instagram analytics) and offers a ton of information about your audience. It is integrated in the app and super easy to use. 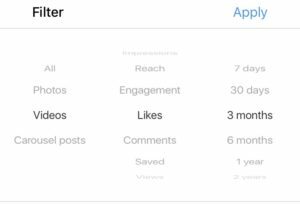 To get access to Instagram Insights, you first need to convert your account to a so-called Instagram business account. Considering the fact that you’re a business, you should have already done this because it allows you to add call-to-action buttons in your profile that will help you guide your customers and get them to convert. Now, go to your profile and click on the analytics icon in the top-right corner. However, those are not things we should focus on now. The secret lies in the detailed information about your followers and your posts. With Insights, you can see your best performing posts, and analyse them to see what makes them so great, and what they all have in common. This will help you understand what your followers are engaging with and enjoying. When you know this, you can get a much deeper sense on the how what and why to the posts your audience resonates best with. To see your top posts, scroll down a bit on the first page where it says “Posts” and tap on the button to the right that says “See more”. You can choose to filter your posts based on a variety of different criteria, but for now, the presets will give you all the information you need. All of this information about your posts is super helpful, not only when creating your campaigns, but also to fine-tune your content strategy to perfection in the future – allowing you to share better content that your audience resonates with. Secondly, you also want to look at your follower statistics. The analytics aren’t extremely well-detailed and thorough, however, they’ll tell you the most important basics which will help you create a campaign that is appropriate to your audience. To see your follower details, scroll to the “Followers” section and tap “See more”. 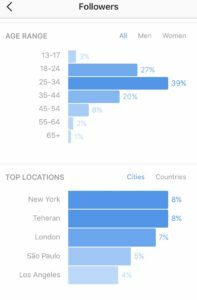 Here, you’ll be able to see things like the gender of your followers in percentages, age range, top locations based on both country and cities, and when your audience is most active. With these statistics, you might realize that you are appealing to the completely people with the content you share, and the strategy you have. If this is the case, you need to thoroughly evaluate your social media strategy and content strategy, but that is a completely different story. Hopefully, this information aligns with the people you have visualised are within your target audience. A method to get more thorough information about your followers is to visit their profiles. This usually takes a lot of time, and isn’t necessary, however, their profiles will give a lot of information that no analytics tool can, and reviewing their profiles can therefore give you a ton of helpful information that allows you to create a better, more specific campaign. People share their whole lives on social media. They share what they eat, they share what they are doing, what movies they like, what brands they love, and what brands they hate. If you just take the time to study some of your followers’ profiles, you will probably be able to find certain characteristics that your followers have in common that you can appeal on in your campaign. When you’ve understood what people are following you, it’s time to decide on a strategy to reach and appeal to them. There are many campaigns you can choose, but there are even more ways you can run them, and I’ll cover a few of them. To run a successful campaign, on Instagram, it is vital that you know exactly what you want to achieve with it. When you know, it will work as a map that guides you to your end goal. If your goal is to increase newsletter sign ups, the campaign type you choose should reflect that marketing objective. No matter what campaign you choose, however, it is important to include a clear call to cation. This lets people know exactly what they should do, and how they should do it. If you ignore including a call to action, you’re missing out on a whole lot of convincing power. With your strategy, you need to clearly state how you are going to manage the technical part of your campaign, and plan how you’ll manage the administration part of it. You might realize mid-stream in your campaign that there’s a lot of work that needs to get done, but with a clear strategy, this job will be easier. If you are running a giveaway for example, you need to plan what you are going to give away, how you’re going to pick the winners, who will review all the entries, the legal parts, and how you’ll communicate with your winners during and after the campaign. When working with Instagram, or any other type of social media for that matter, you need to focus on the long run. But campaigns are only a small part of your long-term goals and strategies, so this doesn’t mean they should last forever. Again, the type of campaign you choose will affect how long it will run. Some campaigns can last forever, while others should not run for more than a couple of weeks. Giveaways is a great example. When you run giveaway, you need to clearly state how long it will run. When people join, they are eager to know if they’ve won or not, but if your giveaway would be never-ending, it would mean that you would never announce the winners, and people would start to forget about it. That’s obviously not a recipe for a successful giveaway! This is an example of a campaign done successfully. Usually, brands mix both short-term and and long-term campaigns to help them with their overall strategy. When creating a campaign, what’s most important when it comes to the timeline is when your campaign will end. This is important for several reasons. First off, it gives a sense of finality and encourages people to join in before it’s to late. And secondly, it gives your team motivation to work harder towards the goal. If the campaign is never-ending, there’s a risk that the motivation will fade away because you won’t see the light in the tunnel. You don’t have a limited budget. And even if you would, you should have a budget that tells you how much money you are going to invest in your campaign. 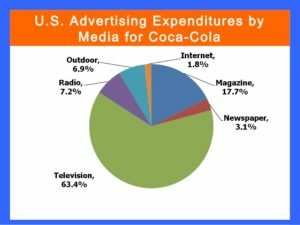 Not even Coca-Cola, a brand that spent $3.499 billion in 2014 on advertising neglects the importance of a budget, no matter how small the marketing effort is. When setting your budget, you should think about what makes sense to spend. If this is your first time running a campaign, the best is to start low to get a hang of creating campaigns before you amp up your budget. If you’re expecting to drive sales with your campaign that will give you your invested money back, try to figure out how much you are expecting to make from the campaign, and how much you expect it to increase your sales. If your main goal with your campaign is to increase brand awareness, it is of course difficult to measure, but in that case, try to measure the value of the exposure you are getting by planning how many people you re expecting to reach, and how much engagement you’ll get. The budget will allow you to plan ahead of your campaign, and make sure you aren’t ending up with a bunch of surprises at the end of your campaign. You’ve come a long way to creating a campaign, with all the practical issues now out-of-the-way. Now, it is time to decide on, and create a message you want to convey with your campaign. What is particularly helpful when crafting your message is analysing your followers and the people you are trying to reach. And luckily, we’ve already done just that. Now that you know who your audience is, and gotten to know them more in-depth, you need to create a message that they’ll resonate with, and that will appeal to them. Your message should reflect your brand’s values and your personality. This goes for any type of marketing efforts. Your personality should always remain the same. Just because the campaign changes, doesn’t mean you should. This will allow people to build a better relationship with your brand, and see your brand as something familiar and “comfortable”. Because everyone love when something feels familiar. 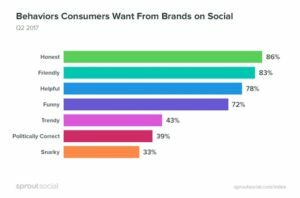 In fact, 86% of consumers want brands to be honest on social media. Honest doesn’t necessarily mean that you shouldn’t lie to your audience and customers. Because the truth is that you never should. But it also means that you need to be honest with your own brand, and stay honest and true to your own brand values. When you are changing your brand’s personality, you aren’t honest to your brand, and you aren’t honest with your audience. 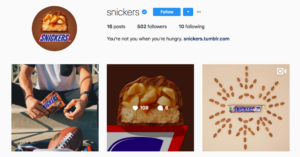 Snickers just recently created an Instagram account, but despite this, they are staying true to their brand message with a theme of their instantly-recognizable brown colour. Your brand voice is an important part of your brand’s personality. Your brand voice should reflect the values you have, but it should also reflect the audience you are trying to engage with. If your brand is using a highly conservative and “proper” language like they did in the 1800th centuries, you’re just not going to resonate with teens. And if teens are your target audience, it will be a complete disaster if you use that type of language. You need to use a language that makes you one of them, because this helps bridge the gap between your brand and your audience. Most of the time, a casual voice works the best, but obviously, if you’re a brand within the banking industry, that has for a long time been known to be serious and conservative, your best bet isn’t to pull controversial jokes or use an unserious tone. If you want people to join in on your campaign, you need to have a bigger reason with your campaign than simply doing a campaign for the sake of the exposure. The most common method brands use is to create a campaign that supports a cause. It can be anything from informing about world hunger or gender inequality. I strongly advise that you don’t pick a reason and a cause of your campaign just for the sake of making it look good in your campaign. Because if you do it for a reason that you’ve never shown any interest in before, it may risk backfiring. With your campaign, you need to spark your customer’s inner wishes and needs. You need to spark interest by piggybacking off of something they truly care about. Think about: How much does a giveaway truly matter in the world? Yes, it is effective in marketing, and it helps you gain exposure. But unless that giveaway is changing someone’s life, supporting a bigger cause with your campaign lets you impact your audience on a much deeper level. Plus, it puts your brand in a good light. 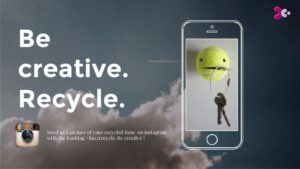 Createmotions360 created a great Instagram account with an even greater message to get their audience onboard their mission. When you are going to redirect your audience with the help of social media or ads, a landing page is always the most effective. Let’s say you have a sale, and ask everyone to click the link in your bio that takes them to your website’s homepage. They’ll start searching on your website for the items that are on sale. Some might even get bored or confused because they aren’t instantly presented with the page they are looking for. It’s about making your customer’s experience as pleasant and simple as possible. That’s exactly what a landing page does. A landing page is a customised page on your website that is specifically done for your campaign This means that when you direct people there, for example to take part of a huge sale, they are instantly greeted by the thing they are looking for. It is important that the style of your landing page followers your overall brand message and feel of your Instagram page so that the page they are directed to feels familiar, because this will decrease the bounce rate. This is the ultimate way to create a familiarity on your website, but it is also a great way to get people who don’t follow you on Instagram to get value from the content you share there. When you incorporate your Instagram on your website, it will also help make your website seem like it is constantly updated and up-to-date, even if you’re only sharing content on Instagram. Incorporating your Instagram feed on your website is super easy! All you need to use an application like SnapWidget, which will incorporate your Instagram feed on your website, and update it every time you share something new. Influencer marketing is a campaign in itself, but you can also use influencers to help boost awareness and reach of your initial campaign. Influencer marketing is one of the most effective and most cost-effective ways to market your brand on social media. Influencers are known as experts in their industry, which means that people trust them for advice and see them as go-to sources for information in the area they are experts in. What this means, and also the reason to why influencer marketing is so effective is that you can, by partnering with influencers who are experts in your niche, reach the people who truly matter to your brand. In other words, your target audience. The best part is that when you reach them, you reach them through recommendations by the influencer. These recommendations are the most valuable types of recommendations for a brand because they contain trust. In fact, 92% of people trust peer recommendations. Eve if they don’t know them. When your brand is endorsed, the words of the influencer is far more trusted than if you would stand there all by yourself and preach about the benefits of your brand. What’s more is that some of the influencer’s trust is then transmitted to you. When I talked about the benefits of influencer marketing, i spoke about the fact that it is effective when you can reach your target audience. However, this makes it super important that you partner with the right influencers, who actually have trust, and have followers that are within your target audience. Finding influencers can be tricky, but it can also be super easy. Of course, finding any influencers isn’t difficult. You just need to google the world social media influencers. However, it is finding relevant influencers that matter to your brand, and will help you gain great results that is difficult. With Veloce influencer directory, you can filter and search among 3k+ influencers based on your preferred criteria, thus allowing you to find the influencers that are the most relevant to you in a heart beat. Instagram offers a ton of different campaigns you can create, so you can be sure to find one that is suitable for your brand and target audience. Before you create a campaign, make sure you’ve answered the most vital questions that will let you run more successful campaigns. What do they resonate with? The key to a successful campaign isn’t always how much money you invest, but how well planned it is. 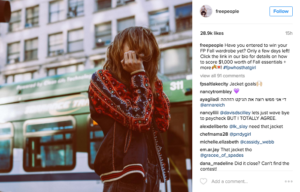 Have you run a campaign on Instagram?